I have also been selling for some time, the BAS remote FBHIC controllers for D3. Its well recognised that starting a warm car puts far less stress on the engine components than starting a cold car. Not to mention the benefits of getting in an already warming car so the heater warms up significantly quicker than normal! 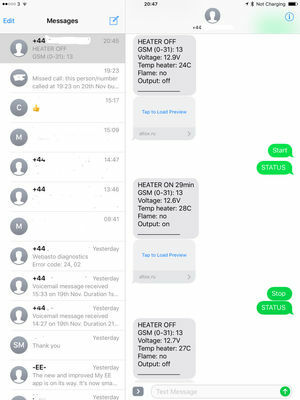 Having looked about the market, I wanted to have a Sim/data version of the remote kits for controlling my own FBH and many customers had also been asking about Sim versions. Many of you know that I don’t generally sell anything I haven’t road tested myself, so a few weeks ago I got myself the Atrox controllers and set about testing them to make sure they met the quality that I and my customers expect. I’m pleased to say that they do and I have since been merrily installing these latest version Sim controllers. Of course I also offer the service to fit all the above parts for you or post them out for you to self fit. Just remember that the Discovery 4 options all require the Timed/Remote functionality to be added in order for it to work. Again, thats an additional service I offer if you don’t have the electronic tools available to you. The Sim activated kits require of course a Sim in order to work. I’m currently using EE Pay As You Go sims in these and can supply one in the kit for you to register. My D4 LR Remote/Timed kit thread has plenty of info on how that works, so I'll concentrate on the SIM activated ones. 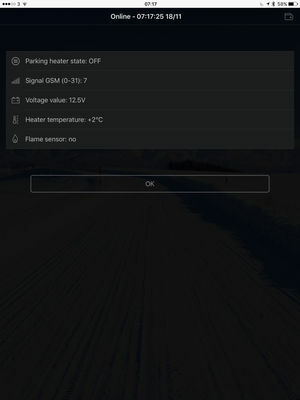 Simply Text "Start" to the Sim number in the controller and it will fire the FBH up. If you have the D4, then it will also activate the fans in the same way as the genuine kit. If you want to stop the FBH, just text "STOP"
It's that simple. It doesn't need to be a particularly strong signal as text will work at the very weakest signals. Not forgetting that you can also use the App to set the time that you want the FBH to come on. Or you can use the App or the website. Select the Date, then click on the Map for the route and stops info. Or just text STATUS and if you have the GPS version, you will also get a googlemap link to the current GPS location, Or look in the app! I'm very impressed so far and very much suits my current needs - and the inner geek so went for the gps version and turned on tracking. 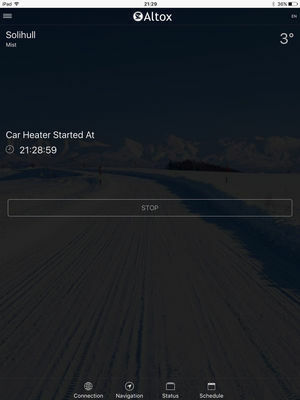 The apps allow you to set either regular times to start the heater or one shot. 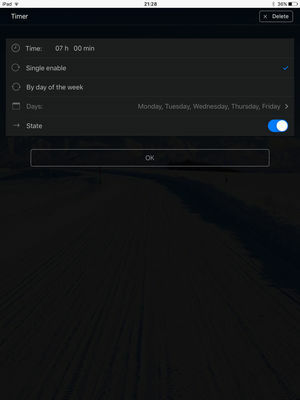 As well as using the app to track your routes, I think upto a months worth are stored for free, you can register with the web based tracking program and see your progress. This also allow sub accounts so others can be given permission to see where you are, but not give them permission to activate the heater. Mark. 2006, D3 SE Auto - gone but not forgotten. 2014 BMW 530d M Sport Tourer. Nice one Mark, glad your'e getting to grips with it. I have to say, I love the fact I can App or text it and it fires up. No, I've just tried. Not that bothered personally as I managed my sim via the internet. Mark. Instructions say it will show SIM card credit .. any one got that working ? No, thats the right website needed for the web app, turn the ipad 90 degrees does it work then? Ah, yes for the app, sorry, I read it as the website. It does work as you say if you turn the iPad. Mark. Amendment - yes it does give my credit on both the tracking app (Altox Server 2.0) and the iPhone and Android apps. Mark. I'm impressed with the data usage - or at least the lack of it! I've very tempted to get a tracker from them for my Spitfire Mark. Quick question Bodsy, is there any way of starting the Altox version if your in a zero phone reception area? I was curious if there was anything you could do with the app from close by or something!! I'll ponder on it for a day or two but it looks like this could be my Christmas present from the missus sorted!! Any idea how much credit it uses purely for starting, not the GPS version? And last question, can the internal heaters be set to run in a D3 as they can in a D4?